Here we share a variety of Japanese soaking tubs including Ofuro, small, shower, wood, copper, stainless and outdoor bathtubs. Ofuro, or Japanese soaking tubs are truly the art of the bath. In Japan, these tubs are high tech marvels. There is a control panel that will fill them automatically at a preset temperature and cycle the water to keep it warm until the whole family has bathed. You shower before you soak so that you don’t dirty the water. In the newer models there are even built in tv’s with floating remote controls. The water comes right up to the edge and your whole body is immersed, overflow is not a problem because the entire room is a wet room. The tubs are often made of molted plastic or fiberglass and are lightweight and set on rollers because of the frequent earthquakes. The Japanese bathroom is simply amazing. In the west, we aren’t able to get the full Ofuro experience, but we can get Japanese soaking tubs in many sizes and styles. The most important aspect of this tub, of course, is the size. It is deep rather than long, allowing you to sit in the tub, with water covering you all the way up to your shoulders. They are available in stone, wood, fiberglass, and copper and can range in price from $600 to $5000+. 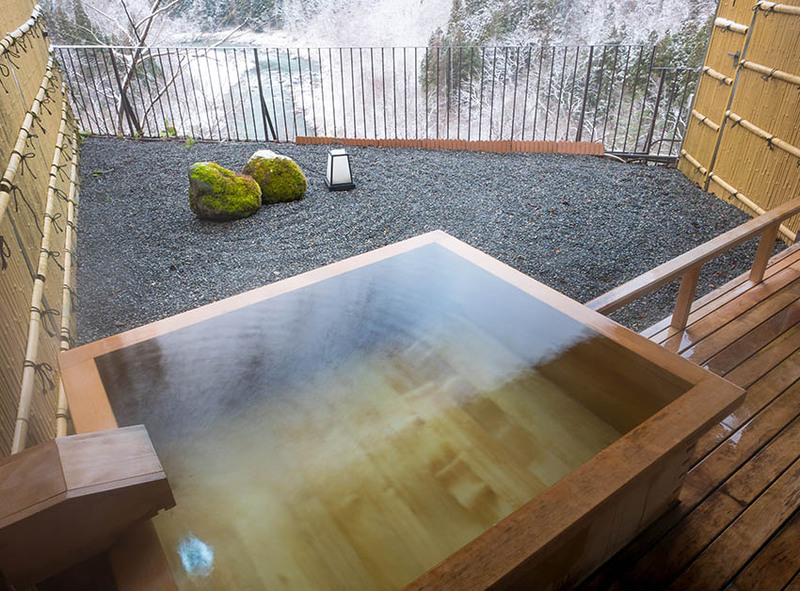 For a true onsen-like experience, the top of your soaking tub should be at ground level, so you step right down into it. This means that you will have to dig into the ground and have it prepped for the tub or you will have to build a floor up around it, so that everything is on the same level. Ideally you would have a shower head installed next to the tub and a small stool on which to sit while you wash yourself in the shower before taking a bath. This custom chiseled stone bathtub is surrounded by river rock giving the bathroom a relaxing spa-like atmosphere. Your main materials should be wood, ceramic tile, and brushed metal finishes for your shower and bath hardware. A small bowl that can be filled with cold water is often placed next to the tub. You soak a small cloth in the bowl of water and place it on the back of your neck or on your head to keep you from getting overheated while you soak in the hot water. This is a big-budget renovation or build, but the bathing experience is totally worth it. 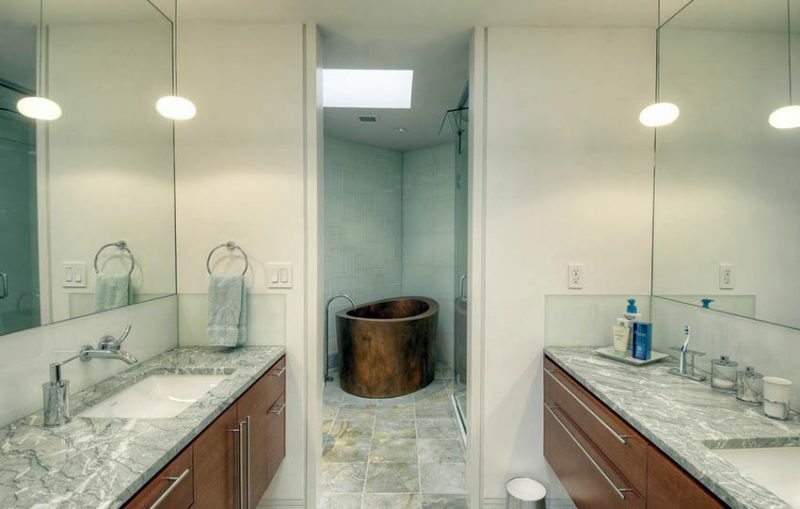 If you just want the tub experience but want to keep a more traditionally American look, you can go with a round fiberglass, copper, stainless steel, or wood soaking tub. They often have a surround build around them or have stairs leading up to them for easy access. 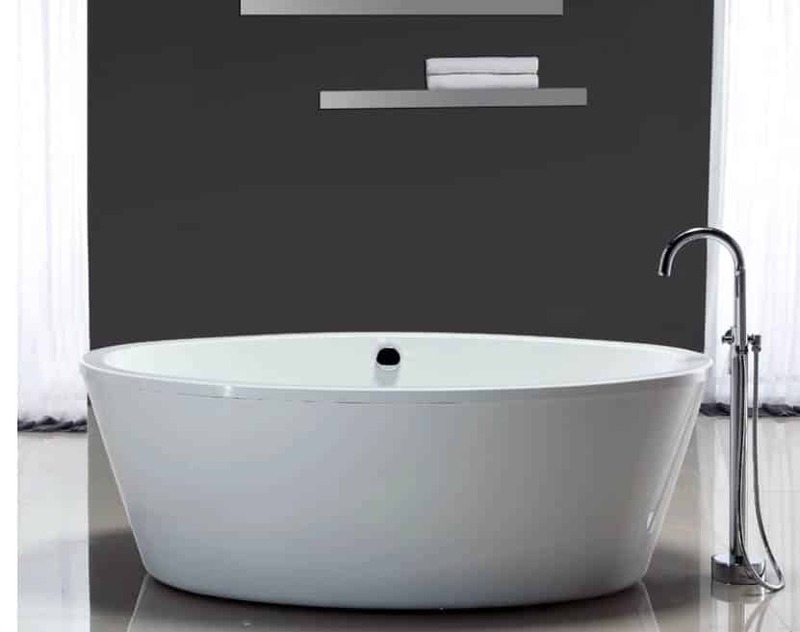 This is the type of tub that you will sit in, deep, rather than long. Add a basket of towels on the surround for easy access when exiting the tub and keep a small basket of soothing bath salts for extra relaxation while bathing. A few lightly scented candles will add ambiance and extra relaxation in the form of aromatherapy. You can also sink your tub partially and line it with river rocks to hide the drains that accept the overflow. Custom made tubs can have removable seats, shelving that goes across the top of the tub to hold a glass of wine, and lids that will keep your water warm while you prepare for your bath. 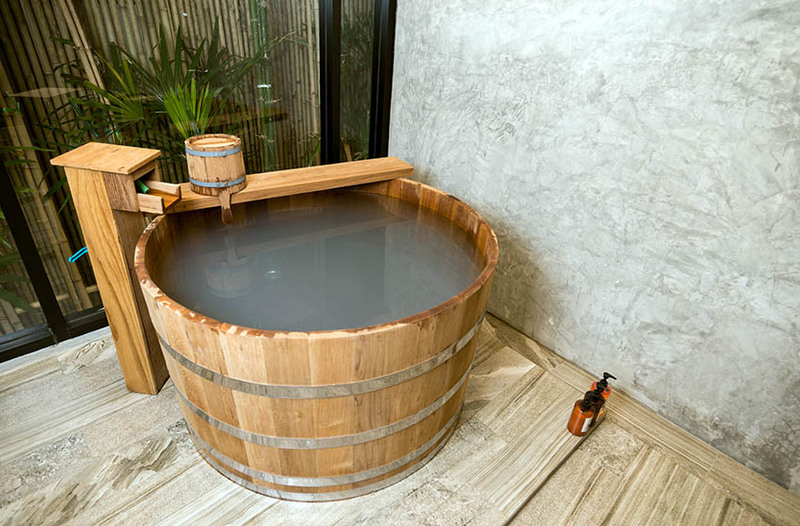 Tubs that are made with Hinoki wood will release a lovely scent when filled with hot, steaming water, adding to the relaxation that soaking brings. 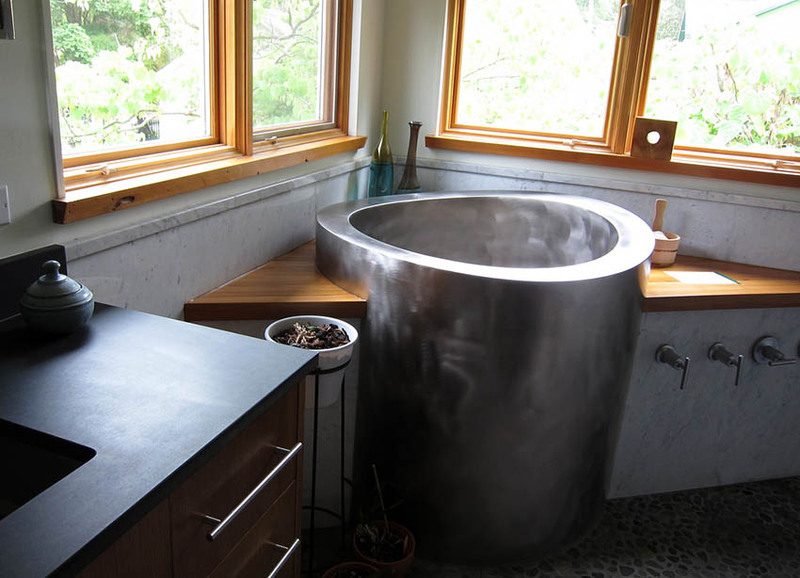 There are also custom soaking tub makers who will carve your soaking tub out of solid stone. 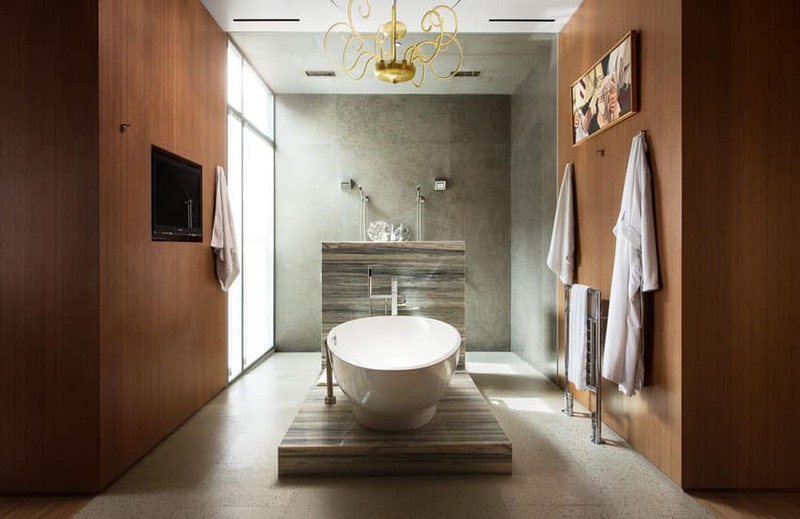 It is best to work with an architect or professional when considering a solid stone tub as weight loads will have to be carefully taken into consideration. When you start to consider a Japanese soaking tub, be careful to make sure that your tub-maker is using materials that will age well and truly hold water. Wood panels hold water more readily than wood planks. In addition to the Hinoki, Western Red Cedar and Teak are great woods for soaking tubs. They are all durable and easy to care for. Free-standing soaking tubs are available at online retailers and most big box hardware stores these days. They may not be as deep as a traditional or custom-made soaking tub, but they are more affordable and compact. This makes them more accessible to the average person and easier to retrofit into the average-sized bathroom. They are similar in style though, deeper and with the straight sides characteristic of the typical Japanese soaking tub. This modest Japanese style soaking tub with shower has a simple wood construction with a detachable shower nozzle. 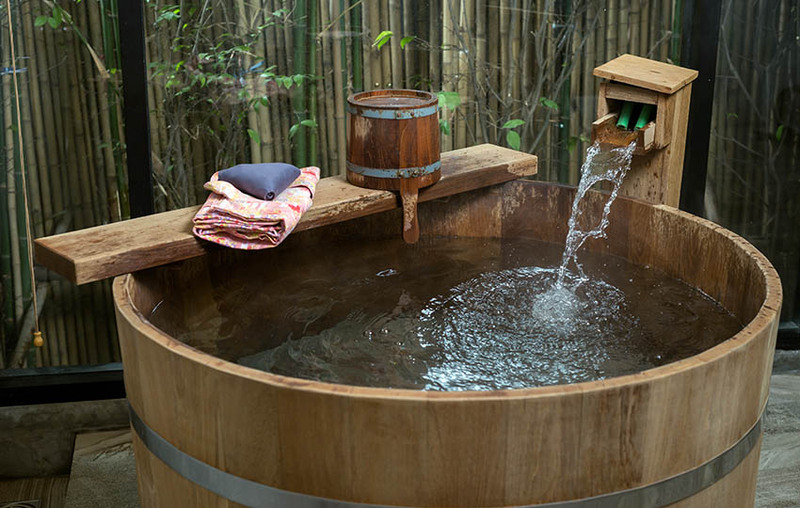 An outdoor Japanese soaking bathtub is an ideal way to restore mental and spiritual well being. Reminiscent of a natural hot springs, an outdoor tub allows you to relax neck-high in steaming water and let your stress melt away. 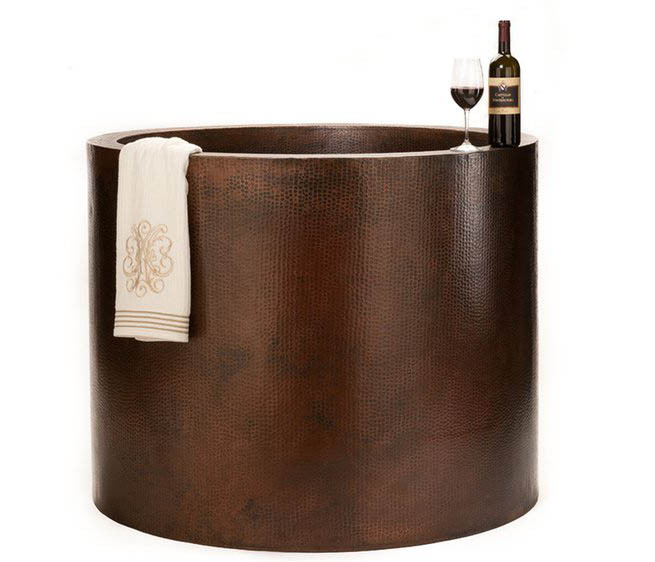 This round outdoor tub is fastened with steel rings similar to a wine barrel. A small shelf provides access to a rinsing bucket. Soaking tubs like this are not equipped with jets. According to those who bathe Japanese style one rinses their body outside of the tub using a small bucket or shower. Once finished you can enter the tub which is only used for soaking. The practice of Japanese forest bathing is a form of eco-therapy where one bathes in the presence of trees to help reduce lower blood pressure & heart rate and improve general feelings of well being. Adding an outdoor Japanese soaking tub to your home is a great way to extend your outdoor living area and enhance your overall enjoyment. 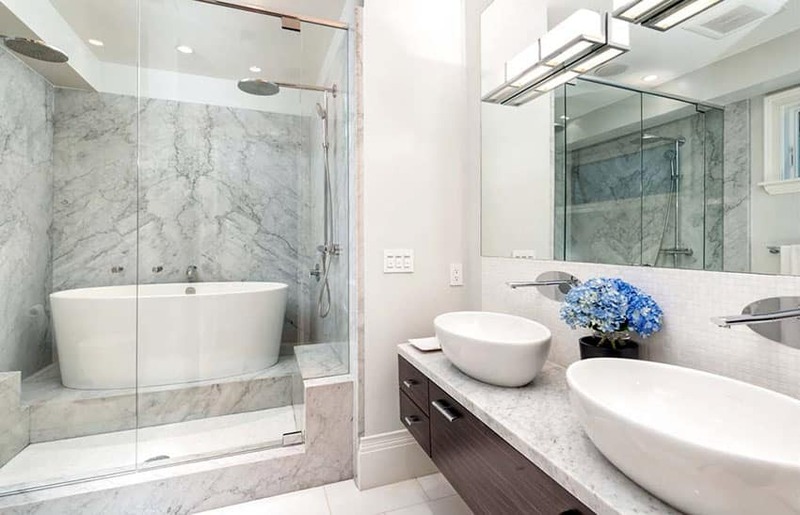 It can be overwhelming to fit a bathtub inside a tiny bathroom space which requires thorough space consideration. However, Japanese soaking tubs are an essential turning point when deciding for a bathtub that fits perfectly into your tiny bathroom. That being said, nowadays there are plenty of non-standardized sizes and custom designs that you can choose from. The idea of Japanese soaking tubs for small bathroom spaces is to engage the user in maximum comfort within a minimum space. First, it is important to consider who would utilize the Japanese soaking tub. And this will leave you with an idea of the size of the Japanese soaking tub in regards with the function for its users. As a rule of thumb, it is of utmost importance to try out and to confirm that you would be comfortable inside a Japanese soaking tub before purchasing. 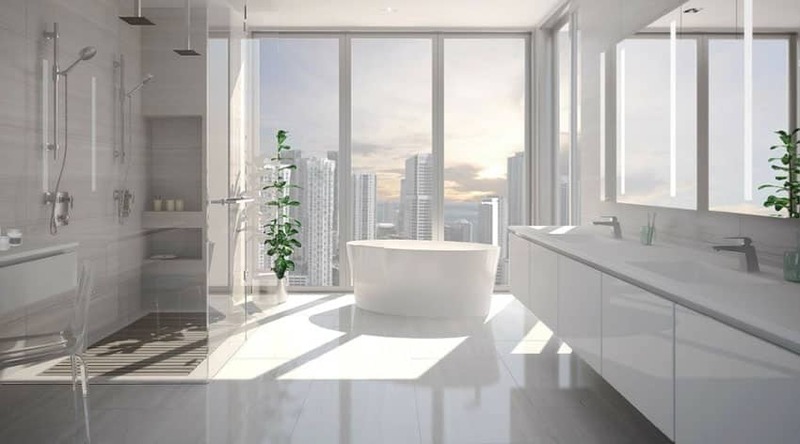 In case you are stuck with a very narrow bathroom space, you might be naturally inclined to check on Japanese soaking tubs which are pretty narrow. As a general guideline, any Japanese soaking tub that is less than 32 inches of width are not appropriate for a relaxing, soothing bath. By all means, go for a Japanese soaking tub of 32 inches of width which will offer you the comfort and flexibility. 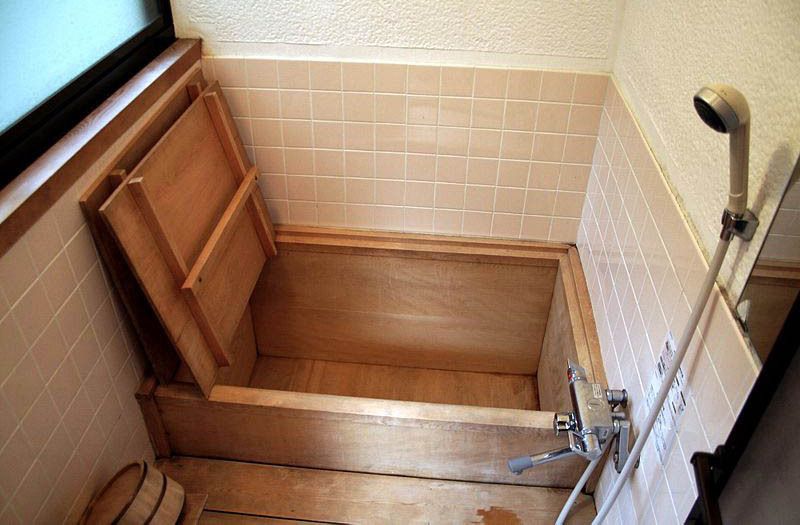 If your Japanese soaking tub is a square shaped design, you might want to consider a corner tub that has been specifically designed for tight spaces. These are stylish and spa-like, that allocates the space wisely. The corner tubs are available in the market as built in tubs, or insets that has to be mounted on a separate surface adding up to few extra inches of your free bathroom space. 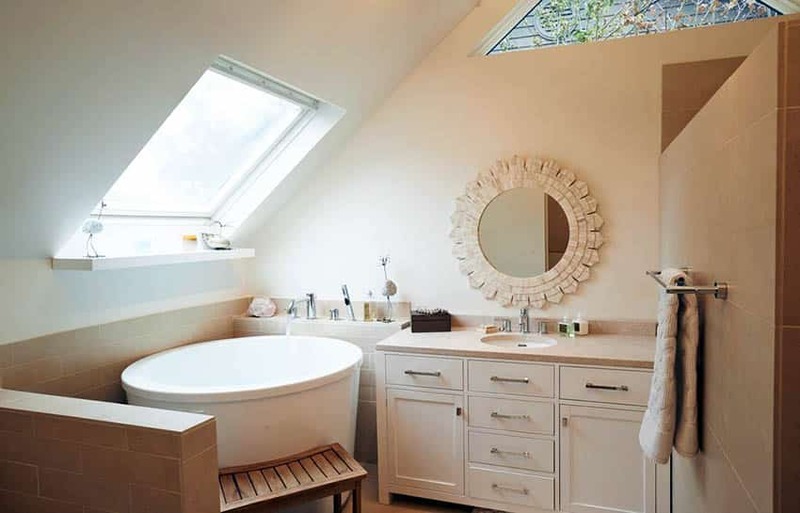 Pedestal tubs are yet another handy solution for tight spaces. 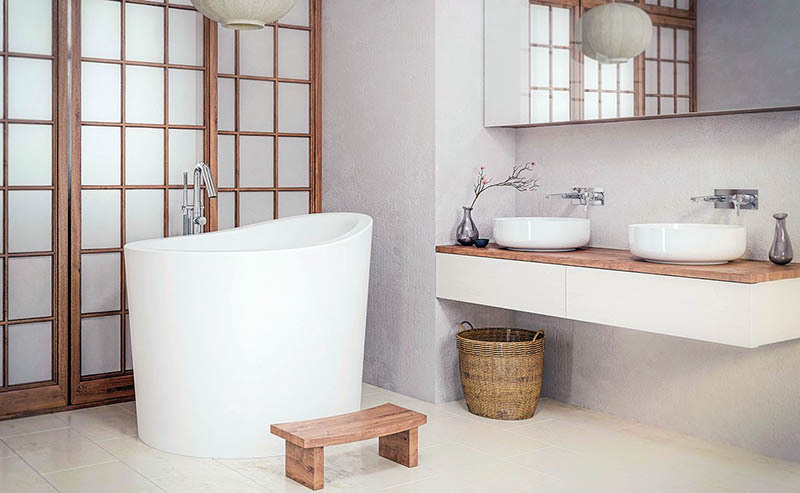 The pedestal tubs takes up less visual space and appear as it floats within the bathroom space. These tubs are very flexible but expensive. Asian style tubs are for who loves long and soothing baths. 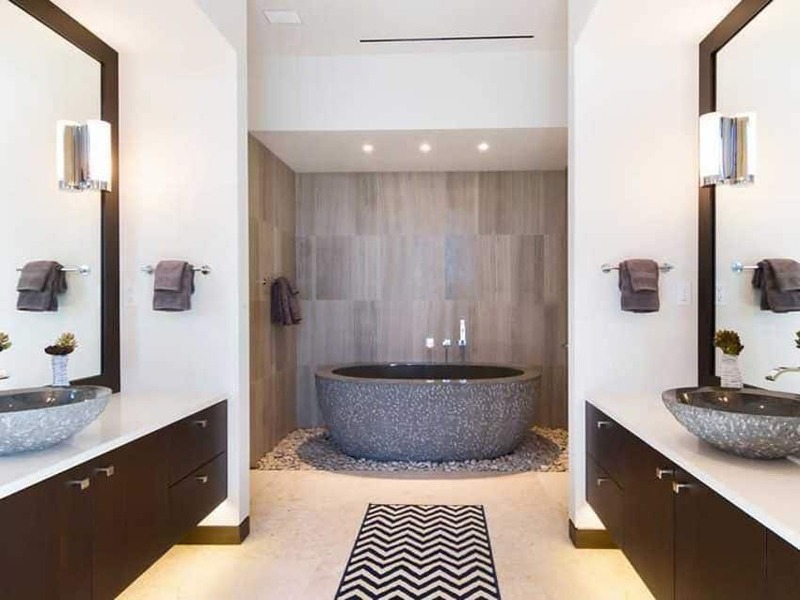 Asian style tubs are known to utilize less water which results in a lesser foot print. “Ofuro” is the popular Japanese tradition of a deep tub accompanied with a seat that let the bathers dive in hot water. Nowadays, Japanese soaking tubs comes in variety of materials from stainless steel, wood, ceramic, concrete to acrylic. These are either configured as free standing, or as insets on a platform.